More than 15.000 participants with great presentations in 666 sessions (posters, PICOs, and orals) made the EGU General Assembly 2018 at the Austrian Convention Centre in Vienna a great success. 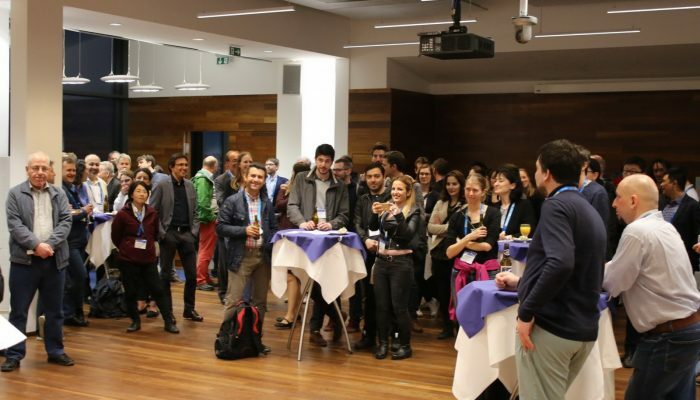 As a central element of its General Assembly, EGU offered a series of Union Sessions, Interdisciplinary Events, Great Debates, and Short Courses. I always appreciate this possibility of seeing a bigger picture of geosciences. At the Division level, a Geodesy Reception was organised for the first time at TU Wien Tuesday evening with a nice view over the city. This event was well received, although some fine-tuning in the organisation is required to be able to repeat it in 2019. Highlights in geodesy were certainly the presentations of the Vening Meinesz Medal to Markus Rothacher and the Outstanding Early Career Scientist Award to Sara Bruni. Congratulations! I really would like to thank everybody (participants, authors, conveners, Division Officers, …) for their contributions and fellowship with EGU. You make the EGU General Assemblies an extremely valuable event for geodesy! I hope you enjoyed EGU 2018 – recommendations and feedback (positive and negative) is highly appreciated (email to g@egu.eu).